I will tell you that growing up, I did not need to have a reason to eat crepes because they were my favorite things to eat, and they are still my favorite things to eat today. This evening nothing fancy. I just wanted to fix a few to keep up the tradition at home. I made a cake of crepes ( that I will show you later), and made a few with some swiss cheese and salami. 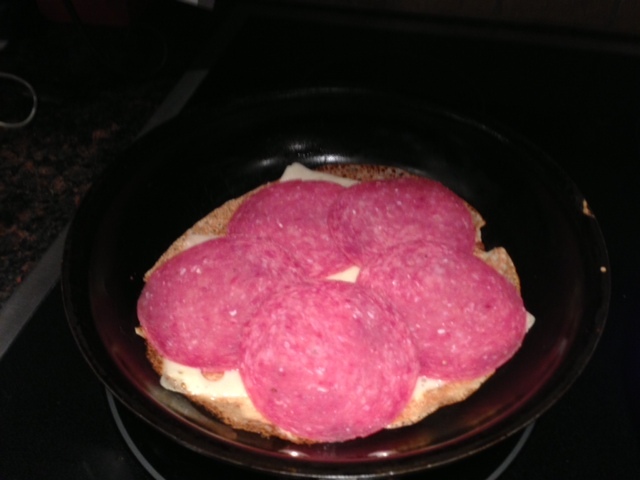 1/2 lb of slices salami or any other meat. Curve a hole in the flour, and slowly pour the milk while mixing with a whisk. Be careful to whisk slowly so as to make the mixture smooth and free of lumps. Then add the eggs one at a time and mix well. Add the beer and mix well also. The mixture should be smooth and liquid, but not too liquid. Turn the stove to medium high and place the frying pan on the stove. The frying pan should be hot before starting to fix the pancakes. 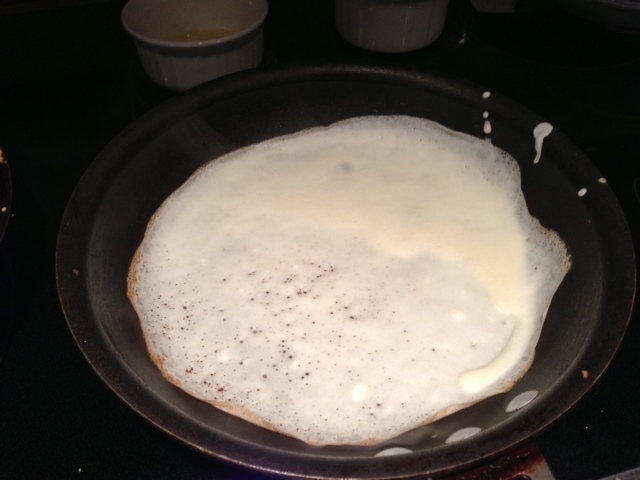 With a paper towel or a brush, spread butter on the walls of the frying pan and pour a small ladle of crepe mixture. Move the frying pan in a circle motion so that the dough has spread to the entire surface of the pan. 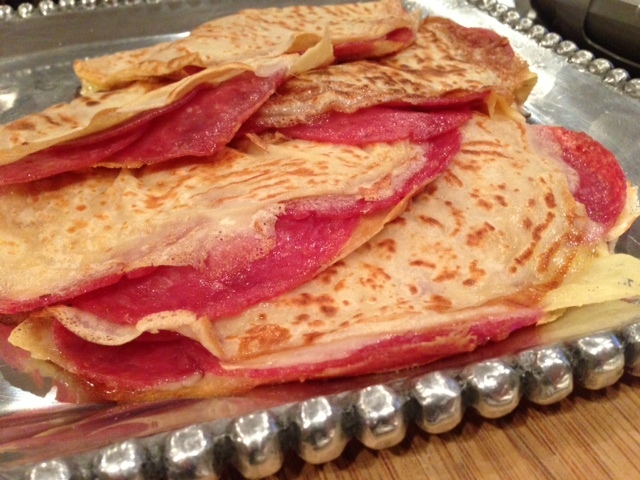 With a spatula, flip the crepe, place 3 slices of cheese, 5 slices of salami all around the crepes. Fold the crepe in half and cook for 1 minute or less. Place the crepes flat on a plate. Continue the process until you have exhausted all the batter. Et voila!! !